This is a placeholder for a future profile of Rosemary Fillmore. A kind and gentle soul, Rosemary is my friend and confidante. 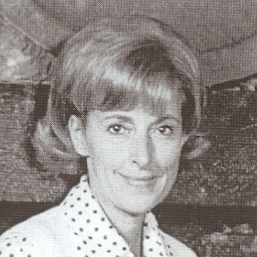 My first experience with her was when she appeared on television giving an inspirational "Thought For the Day." She touched many people with those uplifting and thought provoking affirmations and ideas. Little did I know that years later I would meet this wonderful woman and be privileged to have her as one of my closest friends. 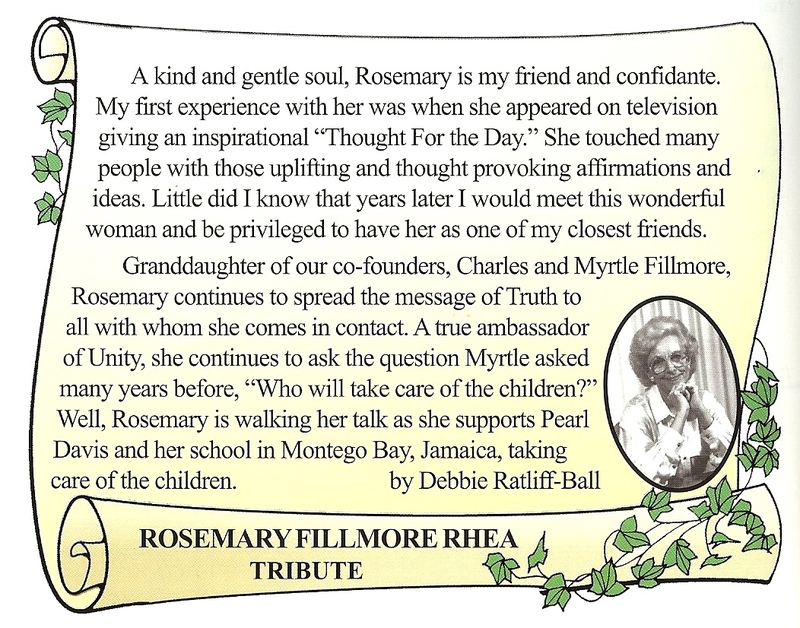 Granddaughter of our co-founders, Charles and Myrtle Fillmore, Rosemary continues to spread the message of Truth to all with whom she comes in contact. A true ambassador of Unity, she continues to ask the question Myrtle asked many years before, "Who will take care of the children?" 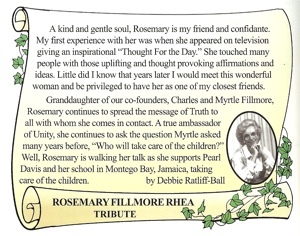 Well, Rosemary is walking her talk as she supports Pearl Davis and her school in Montego Bay, Jamaica, taking care of the children.